Mukesh Ambani's Reliance Jio launches 4G on September 1 and announced its plans public. The big promises that were made to customers during this. Explained how India will move from Gandhi-geeri to data-geeri. 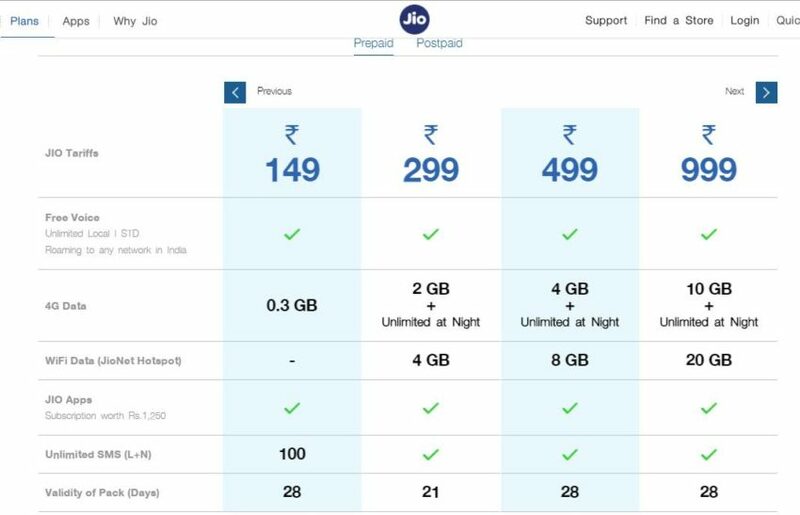 Initially, the company started Jio preview offer, according to which people get 90 days unlimited 4G data, unlimited voice calling and SMS facility was granted. 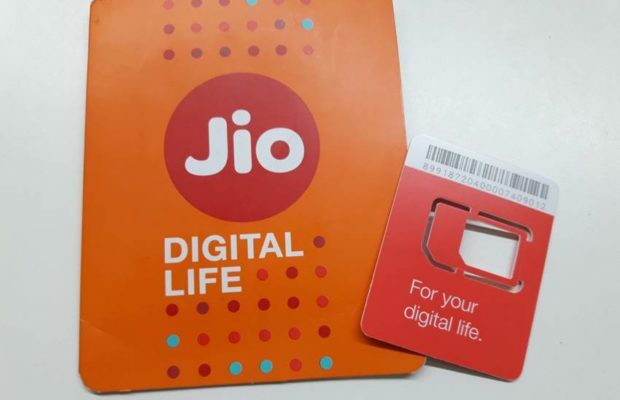 Now the company is triggered "Jio Welcome Offer" from September 5, under which up to December 31 Reliance Jio's voice, data and roaming services are completely free. At the beginning Jio Sim was just for Reliance LYF Series smart phones. Then opened for most brands, including Samsung and LG. But after launching, now from September 5 it can be purchased for every 4G smartphone. Smartphone users have a craze across the country to buy that Jio Sim. But we will tell you about some hidden Terms and Condition, you might not be aware about. These conditions were not entirely cleared during the launch. However, when you go to the company's website, reading about the tariff details, things are probably clear. 1- The company said customers would have unlimited data until December 31. Although it is not correct. In fact, there is the limit of 4 GB. But according to the new offer, there will be a limit of 4 GB data in a day. After use of 4 GB data, the speed will be reduced 128Kbps. 2- It was said during the launch that 1 GB of Internet will be given at Rs 50, with which users can use Unlimited net at night. But you know what will be the timing of the night unlimited data? According to company rules, you can use the unlimited Net in the night from 2 o'clock to 5 o'clock in the morning. These are the three hours whose timing are extremely funny. 3- Besides this, you can take advantage of Rs 50, 1 GB of data only when you are first being sure to use one of the tariff plan starting from Rs 149. 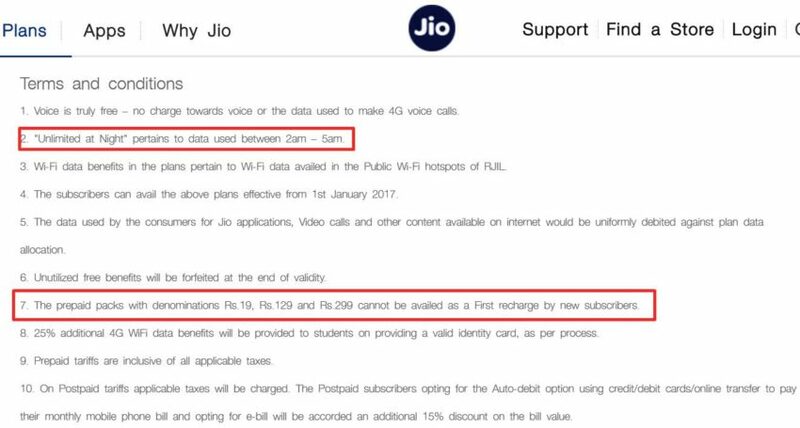 Meaning, if you have any tariff starting from 149 and you actually use all the data of that plan, only then Rs 50 packs in 1 GB will be available to you. Pleased to tell you that Rs 149-pack get 300 MB of data, which, if calculated at Rs 450 you will have 1GB.